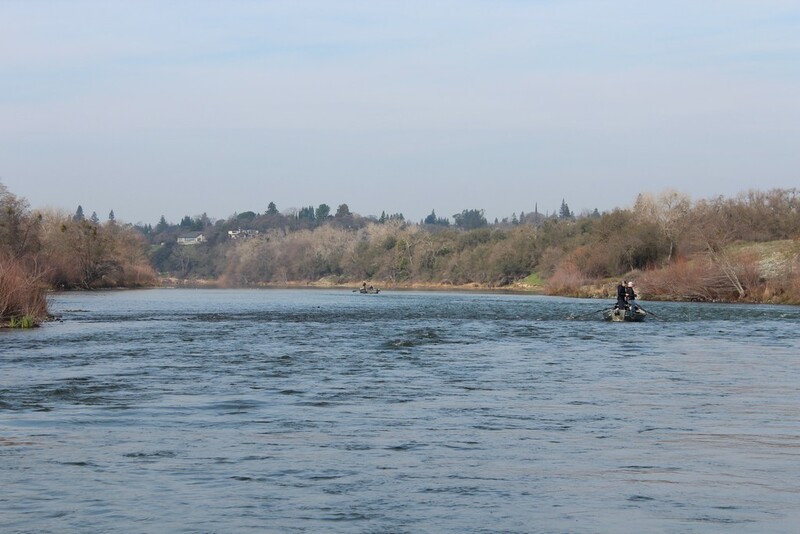 Big numbers of steelhead are showing on the American River, the crown jewel of the Sacramento metropolitan area, attracting plenty of anglers in the quest to hook these hard-fighting sea run fish. The Nimbus Fish Hatchery has trapped a total of 1843 steelhead to date, the best showing of fish since 2013. These fish include 933 adult males, 826 adult females, 43 juvenile males, 26 juvenile females, 4 wild males and 11 wild females, reported Greg Ferguson at Nimbus Fish Hatchery. With fish and eggs abundant this year, the hatchery staff foresees no problem meeting its production goal of 430,000 steelhead smolts in 2020. The smolts (juveniles) that were released during the high water year of 2017 are the steelhead that are coming back to river to spawn now. Most of the steelhead are in the 7 to 11 lb. range, with a few larger ones weighing 12 to 14 pounds. The big numbers of steelhead are also drawing crowds of anglers some days to fish the river. That was the case on January 29, when Doug MacPherson of Sacramento and I fished with Jerry Lampkin of TNG Motor Sports Guide Service. On our trip, Lampkin launched his Fishrite boat at Sailor Bar and said we would start off pulling Hot Spots in the run above the riffle. “Let out 30 pulls of line. First put out 20 pulls and then let out the remaining 10 pulls slowly, pausing after each pull. Sometimes the fish hit when you are letting it out or pausing,’ he tipped. Doug, Jerry and I put out the Wee Warts into the clear and cold water. Doug had a couple of grabs, but neither fish stuck. Jerry started throwing out a ¼ oz. Little Cleo – one of his favorite lures -and a fish grabbed it on the way in, but neither did it stick. Jerry rowed the boat up and down the riffle, including the spots where they had landed the fish the day before, but we didn’t hook any fish. I did have one fish bump a silver Little Cleo. Jerry rowed the boat downriver and we saw an array of birds that Doug, a birder, identified, ranging from a flycatcher to a great blue heron. While using a Little Cleo, Doug briefly hooked a big steelhead that jumped out of the water and came off. After that we didn’t see any more action and we finally arrived at the Sunrise launch ramp. When the fish aren’t really aggressive at hitting the lures, it is usually due to cold water temperatures. Sure enough, when I checked with the hatchery staff it turned out the hatchery water temperature was varying between 48 and 49 degrees. There was a big crowd of anglers fishing the riffle. We saw a good number of hook-ups, some fish landed, and many fish lost, although most anglers that I saw didn’t land any fish. It was much better action than I saw on the openers in 2015, 2016, 2018 and again this year. I saw the most anglers out on the river that I’ve seen since 2013, an epic year for steelhead. Rodney Fagundes and I had one of our best trips that January, hooking 14 fish and landing 9 between the two of us one day while using plugs and Little Cleos. With the good numbers of fish now showing, we can expect to catch steelhead at least into the end of March. 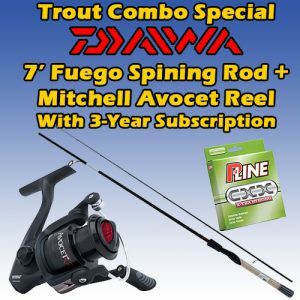 Many years there is also a good run of bright steelhead in the 3 to 7 pound range, including many wild fish, in April. Always remember that a lot of patience is required for catching steelhead, often called the fish of a thousand casts. Also, remember to purchase a steelhead card. Having the chance to catch a steelhead in a scenic parkway in a big metropolitan area is something that Jerry really cherishes. “I’m a dedicated salmon and steelhead guy – and it’s great having the American so close to my home and where I work in the evenings,” he concluded. Nimbus Basin – and a short stretch of river above the cable crossing that was open for many years – is now closed as the Bureau of Reclamation works on building a new fishl adder in the basin. Water releases to the American below Nimbus Dam remain at 1750 cfs. 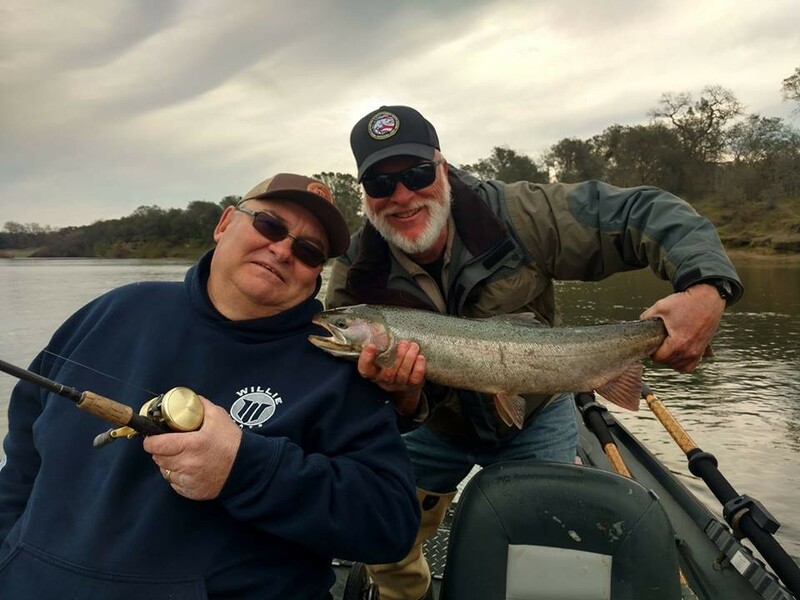 Jerry is available for not only drift boat trips on the American this winter, but for king salmon and trout trolling trips to Folsom Lake. He will book trips at Folsom into June. 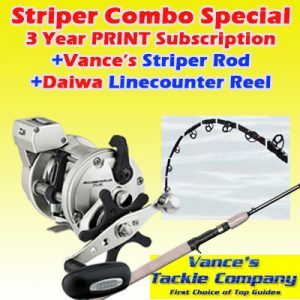 In April and May, he will focus on striped bass fishing on the Feather and Sacramento rivers. Then for two weeks in July, Jerry will fish for spring Chinook salmon on the lower Klamath River. In the last two weeks of August through September 9, Jerry will pursue fall Chinooks on the Klamath. 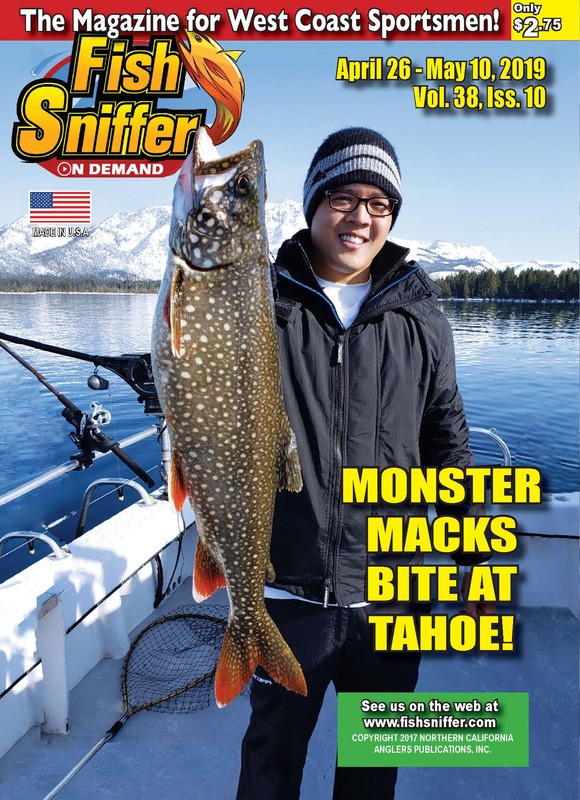 When the salmon show in the Sacramento River in the metropolitan area in the fall, Jerry will venture out on trolling adventures for Chinooks through the end of the season. For more information, call Jerry Lampkin at (530) 320-0994 or go to his website at: http://www.tngmotorsports.com.